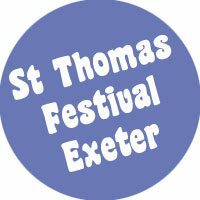 Radio Exe proudly supports this years St Thomas Festival. 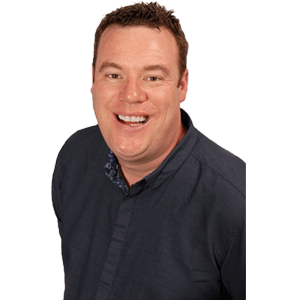 Join Ashley and the Radio Exe team and the Super Subaru this weekend. 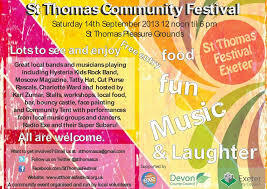 The St Thomas Community Association are holding a music and arts festival on Saturday 14th September 2013, in the St Thomas Pleasure Grounds off Cowick Street, starting at 12.00 noon. This will give us a fantastic opportunity to celebrate the talent and diversity in our local community and there will be lots to see and enjoy. There are great local bands and musicians playing, including Hysteria Kids Rock Band, Tatty Hat, Cut Purse Rascals and Charlotte Ward. There will be stalls, workshops, local food, a bar and a Community Tent with performances from local music groups and dancers, a chess Masterclass, belly dancing and a raffle with prizes donated from the stallholders and local businesses in St Thomas. Age UK Exeter are opening their tea room for coffees and cream teas. There's be plenty for the children too with a Bouncy Castle, face painting and other fun activities. The festival is free to enter and there will be something for everyone. It’s all being organised and run by local residents on a voluntary basis, we're hoping the sun is going to shine! !